We took two cars up to the Catskills on a three-day weekend. The participants were: Chris, Rich, Pedro, Gary and Andrew (Rich’s next door neighbor) and myself. Rich had picked up a five-man canvas tent at Sears a few days before. Did I mention that there were six of us? I recall Rich taking the tent and spikes out of the box. I sat on a folding chair and started to read directions for setting up the tent. The first line in the instructions was that since the tent was canvas, it had to be watered down beforehand so that the material could stretch. Since this wasn’t done, I wasn’t so sure that the tent could be constructed correctly with all the bars, etc. I resolved to just sit back and watch. 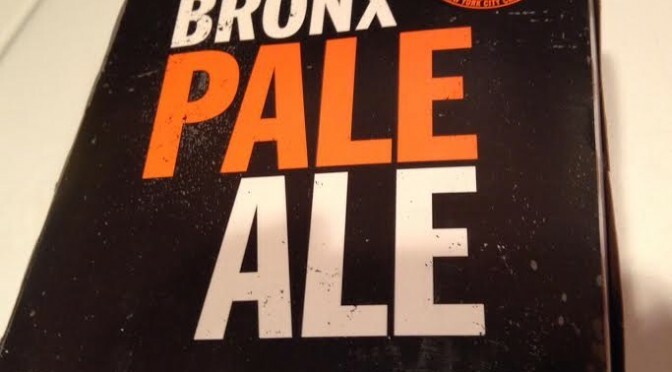 I grabbed a six-pack and plopped myself down and drank the first beer very quickly. I never really liked the taste of beer and most times I would nurse one beer the whole night at parties. I had just popped the second can, took a swig then figured I’d help get the fire started. Rich and Andrew were trying to assemble the tent and there was a Catskill chill along with a threatening rainstorm. I probably downed about three beers when both the fire was going and the tent was finally constructed. I took my sleeping bag, rolled it out in the tent and passed out. I woke up in the morning sopping wet. It had rained that evening and since the tent wasn’t pre-hosed, it didn’t have time to stretch out. Luckily, I had kept my overnight bag in the car so it, along with my change of clothes, were dry. That Saturday it rained most of the morning. The neighbors across from us decided that their camping weekend was over and packed up their new-fangled vinyl tent and left. They said that we could have their wood. By late afternoon, the sun started to emerge and some of the guys decided to go on a hike. Pedro and Rich played some tunes on a boom box that Rich brought. Chris came back holding Andrew, who twisted his foot on a rock or wet leaves. Andrew had a small axe and was chopping a tree branch and the ranger wanted to make sure that we weren’t cutting any trees down. I walk toward him, assuring him that we weren’t as Chris motioned to Andrew to get rid of the axe. We were fortunate to have a bathroom hut within a 2-minute walk of the campsite. It had a few stalls and a shower unit, but we were all smelling kind of funky by the end of the trip. I think we actually made it to Monday before we left, because I recall having Rich drive Chris and I to a church in the area for Sunday Mass. Most vacations you come back feeling relaxed. We came back smelly and wet and just wanted to go home, take a shower and sleep. 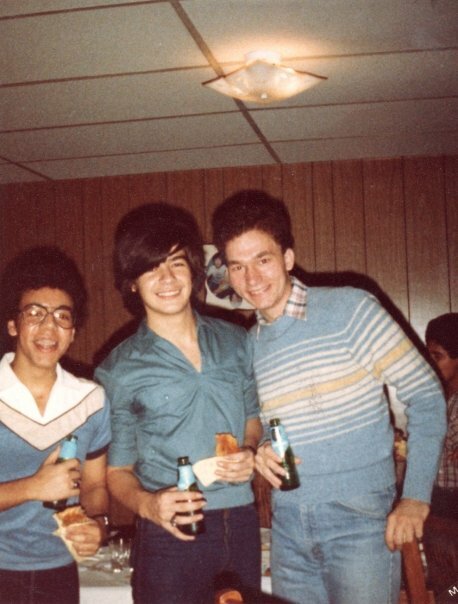 Richard Rodriguez, Silvio La Frossia and Christopher Mele — all about 17 years old? I am pretty sure our hair was not that big and that it was merely a shadow in the background. At least I hope so! We were such bad-asses back then. Playing poker. Smoking. Drinking beer. Wearing flannel shirts. Honestly, if you saw this gang of youts coming down the street walking toward you, no doubt you would tremble — from laughing so hard. And will you look at those Captain America bedsheets in the background? What up with dat? 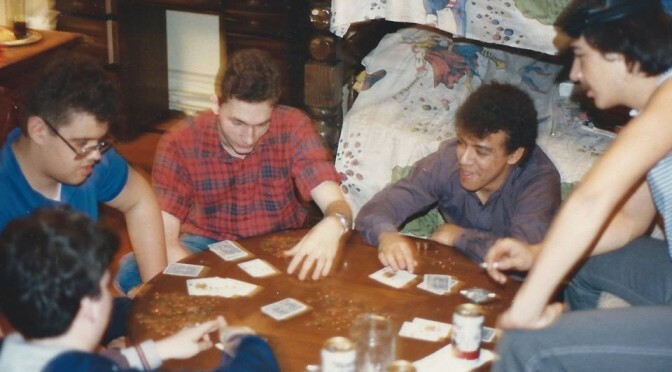 If you think this photo is bad, just be grateful it’s not of us playing strip poker.